“Aioliki Aderes S.A.”, a 100% subsidiary company of R.F. Energy, its shareholders being the ASE listed company “F.G. Europe S.A.” and Restis Group, has put today, 05/12/2011, into commercial operation three wind parks of a total installed capacity of 36MW, in the Municipality of Ermionida, in Argolida Prefecture. The wind parks, the 20 / 150kV Substation and the connection to the grid was completed in just 9 months (24/01/2011 – 24/10/2011), due to the experience gained by the construction and operation of two hydroelectric power plants and five wind parks. The twelve WTGs, type V90-3MW, are supplied by the Danish Company “VESTAS”, the substation and the connection to the grid was constructed by the Greek Company “ELEKTROMEK S.A.”, while the excavation works had been undertaken by “LATOMEIA ERMIONIDOS S.A.” and the concrete was prepared on site by “ZACHARAKIS BROS S.A.”. 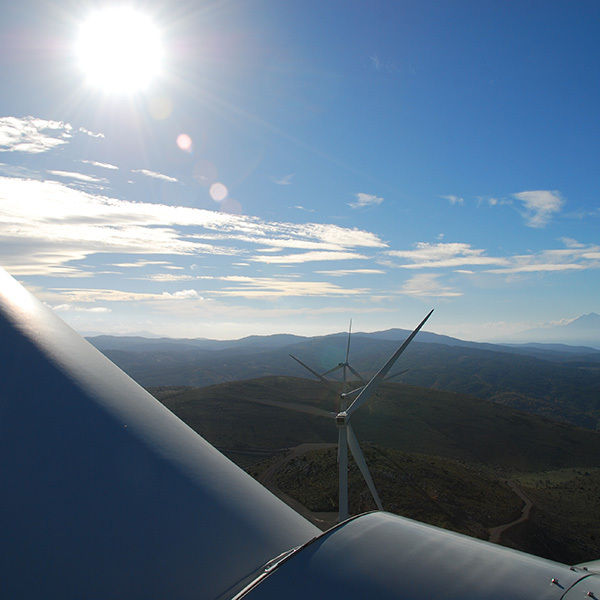 The three wind parks were certified by “TUV HELLAS S.A.”. The overall investment amounts to approximately € 47.8 mil., and has fallen under the provisions of the Investment Law and its funding of € 31.66 mil. or 66% of the total CAPEX, comes from the National Bank of Greece. The estimated revenues on an annual basis amount to about € 6.0 mil., and are expected to contribute into the listed company’s profit by € 0.6 mil.